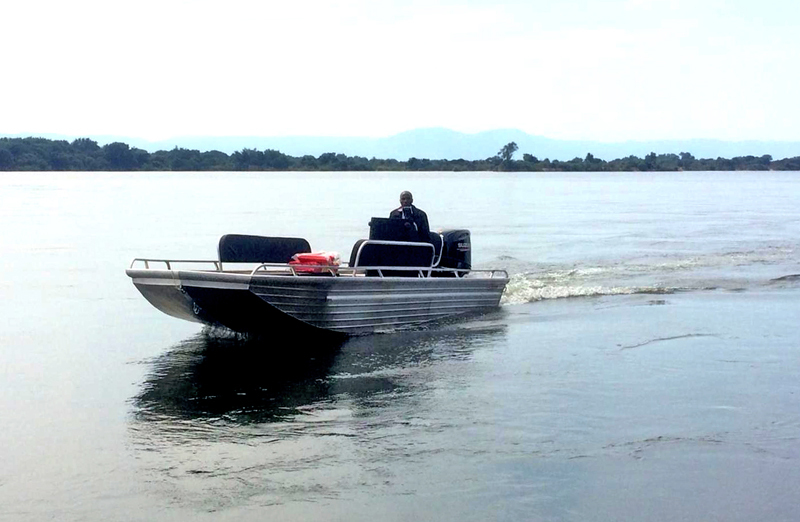 The Zambezi Society is delighted to have taken delivery of this brand new "aluminium flat bottom" patrol boat to assist Zimbabwe National Parks with ranger deployment and anti-poaching patrols along the Zambezi River. 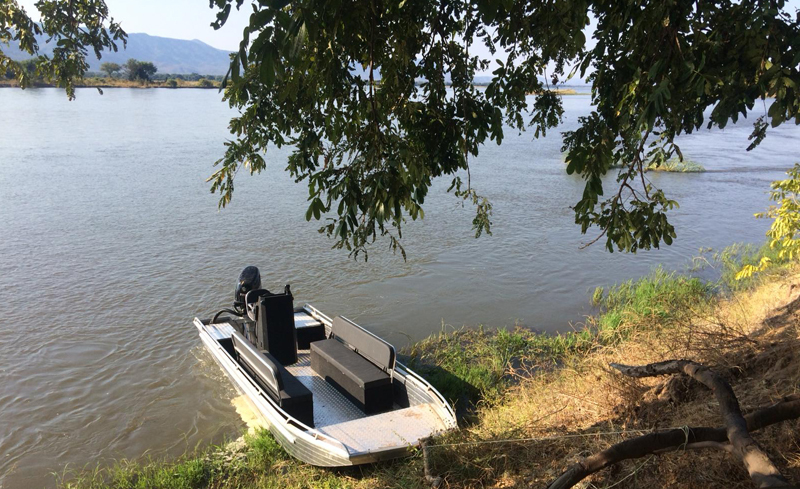 Funded by Zambezi Elephant Fund and Virgin Unite, the specially-designed riverboat was launched onto the Zambezi River at Chirundu on 27th June 2018, and is now based downstream at Mana Pools from where it will operate on a regular basis. The Zambezi Society has employed an experienced coxswain, Simbarashe Kandiero, who is now based in Mana Pools to operate the boat and, when necessary, to double-up as a driver of one of the Zambezi Society's ranger deployment vehicles. This project is part of ongoing collaborative efforts to protect and conserve the Middle Zambezi Valley Biosphere Reserve and the Mana-Sapi-Chewore UNESCO World Heritage Site.